Distance to: airport - 20 minutes drive, city centre - 15 minutes walk. Built in spring of 2004, the hotel is located in the center of Tashkent next to the Uzbek Exhibition Center on the bank of the Boz-Su River. The hotel is surrounded by a beautiful park and within walking distance the Aquapark and the Japanese Garden can be found. The hotel is located within 10 minute drive from main business and admin centers inTashkent. 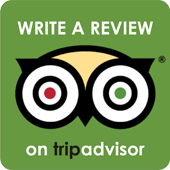 It offers 30 twin rooms and 2 luxury rooms. Each room is well furnished and includes air conditioner, minibar, satellite TV with 15 channels, phone and radio. Further, hotel offers well equipped business center with internet access, fax, printer, copier, and scanner. 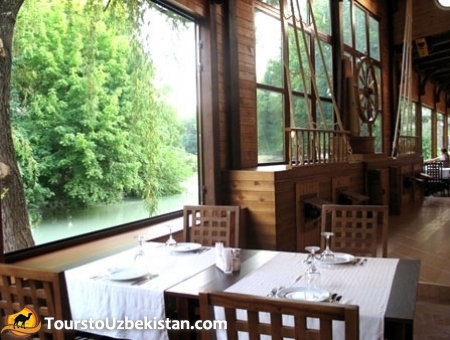 A new restaurant "Sindbad" offers a variety of meals on the open terrace at the bank of the Boz-Su.